Question: This is a very interesting topic, The Apologetics of Jesus. What inspired this book? 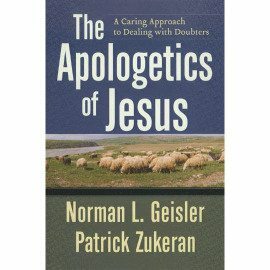 Zukeran: While I was in a doctoral class with Dr. Norman Geisler, he stated one day in class, “You may be surprised to discover, the greatest apologist is Jesus Himself. Someone needs to write a book on the apologetics of Jesus. In 2000 years of Christian history, no one has written on this subject.” The idea of studying the apologetic methods of Jesus and knowing that no one had written on the subject really stirred my interest. It thus became my doctoral project. Question: You said that after you finished, you realized this would be an extremely important book for the body of Christ. Why do you feel this is a critically significant work? Zukeran: There is a lot of confusion regarding the role and the need for apologetics in ministry. Many Christians believe our faith in Christ involves a blind leap of faith. In other words, our faith calls for acceptance of Christ without any reason or evidence. Therefore, in evangelism Christians should simply preach the gospel and the Holy Spirit will do the rest. When Christians are challenged by other worldviews or ideas of the culture, we often fail to offer well-reasoned and substantial answers. Often I hear Christians say, “You just need to believe” or “You simply need to have faith.” That is not a good answer to an unbelieving world or even to Christians who are questioning their faith because they have been confronted by a challenge to the credibility of Bible or the claims of Christ. Jesus commanded us to love God with all our heart, soul, mind, and strength. Answers like these simply do not exemplify what it means to love God with our minds. Apologetics is the defense of the Christian faith. 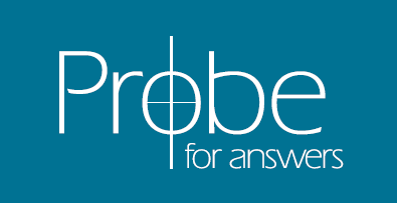 Apologetics uses reason and presents compelling evidence to communicate the message of Christ, defend the message of Christ and challenge unbelief. Apologetics was an essential component in the ministry of Christ and if it was important in His ministry, it is crucial for Christians as we engage our world for Christ as He commanded and modeled. Question: Many Christians do not realize Jesus was an apologist. Scores of books have been written on His teaching methods, leadership skills, prayer life, etc… Few realize apologetics was an important part of His ministry. Why is that? Zukeran: Apologists defend the message of Christ but when it comes to Jesus, He was the message. Perhaps that is why this aspect of His ministry is overlooked. When you study the life of Christ, He made some astounding claims and He did not expect or want people to take a blind leap of faith. He presented reasons and compelling evidence to support His claims. Question: People may be asking, since Jesus was God incarnate, why did He need to give a defense of His claims? Zukeran: As our creator, Jesus understood that we are created in the image of God. God is a rational and morally perfect being and we reflect His nature. Jesus understood that we use reason and evidence to make our daily decisions. For example, when you see two fruit stands how do you decide which one to go to? If one looks clean, has bright looking fruit, and the owner is neatly dressed while the other one looks dirty, the fruit does not look as fresh and you spot a few flies buzzing in the area, which stand will you choose? Here’s another example. What if you enter a hotel lobby and see two elevator doors open. One elevator has lights, the music is playing and people flow in and out of it. Next to it the elevator has no lights on, there is no music playing and you do not see people entering it. Which elevator will you choose? We examine the evidence and use our reasoning ability to make daily decisions. We do the same when it comes to deciding what we will believe and who we will entrust our life and eternal destiny to. Jesus understood that when it comes to persuading people to believe in His message, He would need to provide good reasons and compelling evidence and He did. Question: What are some of the apologetic methods of Jesus? Zukeran: Jesus used several apologetic methods. He used reason and presented logical arguments to defend His claims and expose error. He used the evidence from the Scriptures, prophecy, His miracles, the resurrection and more. When you study His apologetics, you really appreciate the brilliance of our Lord. He truly was the greatest thinker as well as a powerful communicator. Question: There are some passages that appear to teach against the use of reason and evidence such as Matthew 12:38-39. When Jesus was asked to perform a sign by the He rebukes them saying, “A wicked and adulterous generation asks for a miraculous sign! But none will be given it except the sign of the prophet Jonah” (12:39). Jesus refused to show them evidence. Isn’t this a passage that speaks against the use of apologetics? Zukeran: One of the chapters in the book addresses several alleged anti-apologetic passages. There are no passages that speak against the use of reason and evidence. Jesus and the apostles did not ask people to make a commitment to Christ without good reasons. For example, to understand Jesus’ response, you must understand the context. Christ had already performed numerous miracles (Matt. 4:23-25, 8:1-4, 5-13, 28-34, 9:1-7, 9:18-26, 11:20). In fact, this confrontation occurs closely after Jesus’ healing of a man’s withered hand (12:13), and the deliverance of a demon–possessed individual (12:22-23). Despite these miracles, the Pharisees demanded that Jesus perform another sign. Knowing they were not sincere in their demand, He refused to appease them. Misunderstanding passages like these confuse Christians and their understanding of apologetics. Question: What was it like writing this work with Dr. Geisler? Zukeran: I have read many of Dr. Geisler’s works and he has had a great influence on my life. I consider him one of the premier defenders of the faith of our generation. It was a great privilege to work on this book with Him and Dr. Ron Rhodes. They would not let me get away with weak arguments and often pointed out areas and questions I needed to address. It is too bad some of those issues are left out of the book, but they really challenged me to write and think at a higher level. Perhaps you could compare it to football player receiving a chance to play under the great Tom Landry or a basketball player learning under John Wooden, or an investor working with Warren Buffett. I learned a lot but also realized I still have a lot more to learn. It was valuable to see the precision in their arguments, and their foresight in anticipating how opponents may respond. These were valuable examples for me to learn from. Question: How do you hope this book will impact the body of Christ? Zukeran: One of the concerns of Christian apologists is that the body of Christ is neglecting the mind. Since the Great Awakening and the preaching of men like Charles Finney, there has been a shift in evangelical Christianity. We have moved to a more emotional faith based on a moving experience. But, an emotional faith can only take you so far. Sooner or later, you will need reasons upon which to base your faith when it is challenged whether through a tragedy or an intellectual challenge. The unbelieving world also needs to see that the Christian worldview offers the best answers to the issues we face in our culture. I hope when Christians read this book and see that Jesus modeled how to love God with our minds, they will be encouraged to engage their minds with their faith in Christ. Question: Some may see this as an intellectual book. However, you state that there are a lot of practical lessons we can apply from the study of Jesus’ apologetics. What are some examples of lessons we can learn and apply? Zukeran: Since we use our reasoning capacity in daily life, apologetics is tremendously practical in our evangelism. If we are going to have ministries that will engage a lost world that is in rebellion to God, we will need compelling reasons but we will also need to know how to present our case to various audiences, often a hostile one. Jesus was the master at this. This does not mean He was always successful, but He did show us how to communicate a powerful message. Each chapter ends with practical applications we can apply when engaging our culture for Christ. Hopefully, we will all be more effective witnesses for Christ as a result of studying the model of Christ. The Texas State Board of Education and Public School Content"How Do You Witness to an 'Ex-Christian'?"